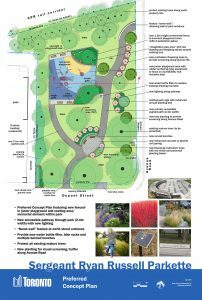 A plan to revitalize Sergeant Ryan Russell Parkette is set to be completed by the end of the year, with construction scheduled to begin next spring. The small greenspace at Dupont Street and Avenue Road — which in 2011 was named after Russell, who was killed in the line of duty that same year near the corner of Avenue Road and Bloor Street — has been neglected for some time. 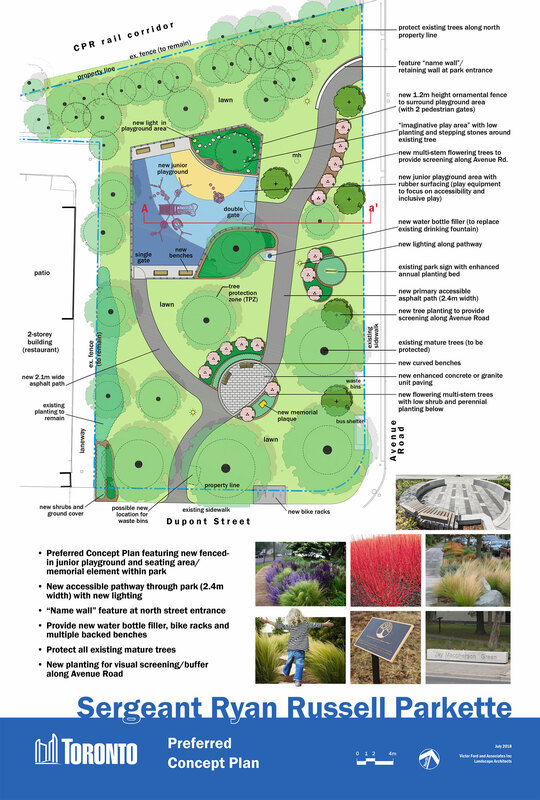 A working group including representatives of the local business improvement area and residents’ association was formed in March to oversee the park’s redevelopment. 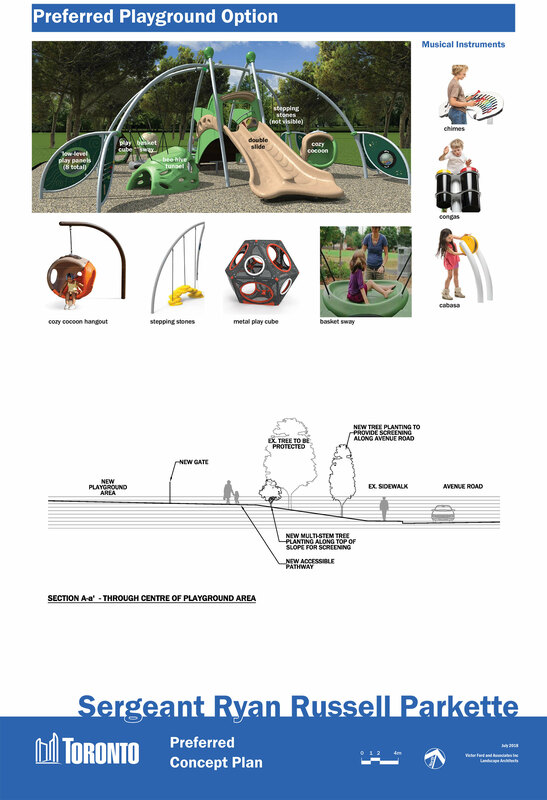 A public meeting was held in June and Russell’s family was asked what elements they’d like to see in the park. The current version of the plan, which is still being finalized, will cost approximately $370,000 to implement. “It has been a very productive and positive process, one which we have proactively thought to bring together the neighbourhood and stakeholders to make sure that this plan works rather than us designing the park,” said Joe Cressy (Ward 20, Trinity-Spadina). “It lacked an ability for people to sit and enjoy the park,” added Brian Green, a parks supervisor with the City of Toronto. “There are some benches, but they can be more than that. Russell’s dedication to his family will be at the heart of the revitalized parkette.